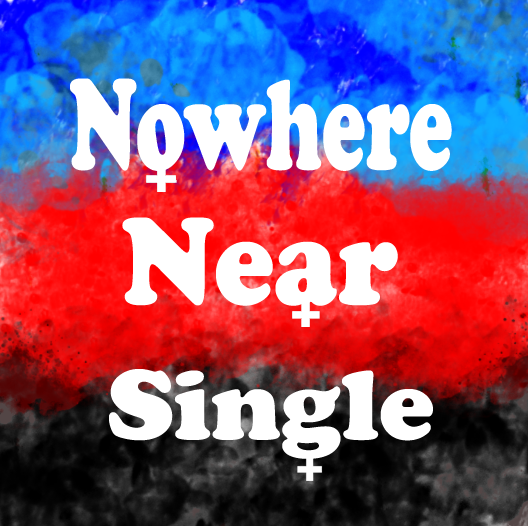 Nowhere Near Single is a Twine piece about a poly relationship between four women, three of whom are living together. You play as the newest member of the quad, and someone in a high-profile job where image matters. The piece is by kaleidofish, author of last year’s Venus Meets Venus. You’ve never seen someone look so intimidating in pleather shorts. Venus Meets Venus was an extremely raw, extremely linear piece about a lesbian in love with a trans woman, and the messy trajectory of their relationship. There was essentially nothing you could do to change the outcome of that piece; we hadn’t really started talking about “dynamic fiction” as a category at that point, but that is what it is. There is, again, a lot here that felt well-observed and interesting. Each girlfriend has her own attitude to the quad’s rules, and her own take on its power balance. Different girls have different spending power, which also causes tensions and resentments. There were just a couple of scenes where I felt like the story strayed into Here is Polyamory 101 territory, when a bit of expository conversation actually explains “new relationship energy” and the concept of primary and secondary relationships: I had a hard time believing that our protagonist was such a beginner that she hadn’t even heard these terms before moving in with multiple new girlfriends. So I think that could have been handled more smoothly. But there were some other moments that felt authentic to me — the negotiation of sleeping arrangements; the habit of one of the girlfriends to try to kind of coordinate and stage-manage relations between the others; the way some of the partners knew one another’s pasts better than the protagonist did. Meanwhile, your career is highly image-oriented, and your manager is extremely concerned about handling that, which means rather cynical conversations about how it will be fine for you to be visibly lesbian but completely un-fine for you to be out about your poly status. There’s some side snark here about the different levels of respectability attributed to various forms of queerness. While all the girlfriends come off as unique individuals with their own flaws and strong points, your manager and career associates are a bit more one-dimensional and mostly seem to be there to act as an embodiment of Social Pressures And Expectations more broadly. I ran into a handful of polish issues: some typos, the word “mahogany” misspelled, and one point where selecting a mandarin chicken salad for dinner popped up an error message about a variable that couldn’t be correctly incremented. And a couple of the dialogue scenes ran long for my tastes and got a little meandering. But overall, I thought this an interesting read; if not quite as searing as Venus Meets Venus, it does more with player choice. One or two more comments about how that works after spoiler space. I really liked the way the game ramped up to one of its big final decisions. You go through most of the game trying to keep your full personal life under wraps so that you can have a sanitized pop star career, but you wind up in a situation where you’re photographed kissing a girlfriend other than the one with whom you have a public relationship. At this point, cornered at a press conference, you can either say that kissing her was a mistake, or you can come out about your lifestyle. The game raises this choice about your least sympathetic girlfriend. Nayeli is grouchy, wasn’t at all welcoming towards you when you first moved in, keeps secrets from the rest of the group, and took a long time to warm up to you at all. She has her strengths — as they all do — but there’s some negative history there as well. Meanwhile, on my first playthrough, I’d been playing my career as safe as I could manage: I’d previously been homeless and I had no desire to return to that or a similar situation. So whatever I might have thought about the justice of public perceptions, my character was doing survival first and poly activism as a distant, distant second. And yet when I got to this moment, my immediate gut reaction was that I could not throw Nayeli under the bus. It sucked that things had come to this pass, but in that moment I had a very clear sense that integrity required a truthful response. So I gave that response, and torched my career in the process, and then I had a huge fight with all my girlfriends anyway, because sometimes that’s how things go. But it’s rare for a choice in games to create that sensation for me, a moment that feels morally clear, costly, and yet not like a contrivance. This entry was posted in Competitions, CYOA, Reviews and tagged kaleidofish, nowhere near single by Emily Short. Bookmark the permalink. Spoiler below — not sure if there’s a way to mark spoilers in comments here. The thing that really bothered me about this piece was that my playthrough involved an incident of domestic violence that was never addressed or acknowledged. And the fact that it was never addressed wasn’t addressed either, if you see what I mean — if it was the author’s intention that the people directly involved and the witnesses to it _all_ had something in their backgrounds that made this seem no big deal, this wasn’t at all clear. I replayed it a few times from the point where that happened, trying to find a path where anyone said or did anything about it, but couldn’t find one. Hm, yeah. I flinched when I got to that too, but then decided the protagonist needed to get out of this situation as soon as possible. I think maybe that inner determination on her behalf (and the fact that you can leave that situation pretty immediately) made it feel almost as though the story had addressed it more explicitly? Like “I am leaving this situation because of abuse among other things” became part of my mental construction of the story, for sure. Hm. Thanks for bringing that up. In my playthrough, Nayeli brought up Sarai’s abusiveness in the group convo at the end, and Sarai agreed to go back to AA. Though this may have been something added in an updated version of the game? I can see Nayeli being the least sympathetic character from the PC’s point of view, but as a player, by that point I was actually warier of both Taya and Sarai — Taya for apparently slipping you mild-altering drugs without your knowledge (???? ), and Sarai for the controlling tendencies (which, to me, foreshadowed the eventual blow-up, if not the violence of it). I got that the PC didn’t care as much about the drugs thing, even in the aftermath, but screwing with “my” mental state without explicit informed consent is way up there on *my* personal freakout scale.